Riverside Cabins LLC offers the finest Prefabricated Cabins. The cabins are manufactured to exacting standards and are certified for conventional loans. All of our cabins are state certified and inspected. We Desire to give you the best product possible, no corners cut! Your cabin will be constructed in our 12,000 SQ FT facility out of the weather. This allows for year-round construction and keeps waste to a minimum. It also assures quality when we use our skilled carpenters, in-house licensed electrician, and a master plumber to do the work. It can be expensive to build when you get outside the city, hauling supplies, and paying the work crews travel time. By building the cabins in our facility, supplies and crew are right at hand, and just one trip to your site is needed. 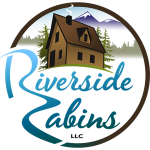 Riverside Cabins was born out of a dream to provide beautiful, affordable prefab cabins to people across the Northwest United States. Our objective is to streamline manufacturing in a controlled environment to provide the highest quality at the lowest price. Our 12,000 square foot facility is designed specifically for that purpose. Keeping your cabin out of the extreme weather helps our workers to focus on the quality and protects the unfinished surfaces. Above all, we strive to go above and beyond for our clients. With countless configurations and design options, you can be sure your custom, prefab cabin will accommodate all of your lifestyle needs!